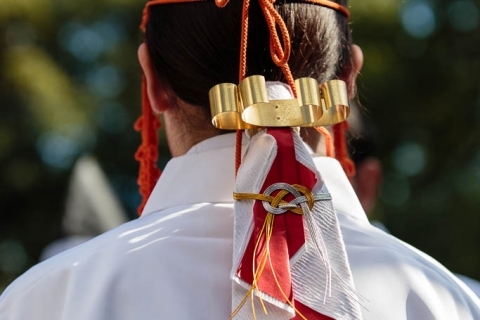 The Yoroi Kizome-shiki ritual held at Kamigamo Shrine may not have a thousand years of history behind it, but this festival, began in 2008, has become popular as an occasion where families dress in samurai armor in order to pray for the good health and growth of their children. 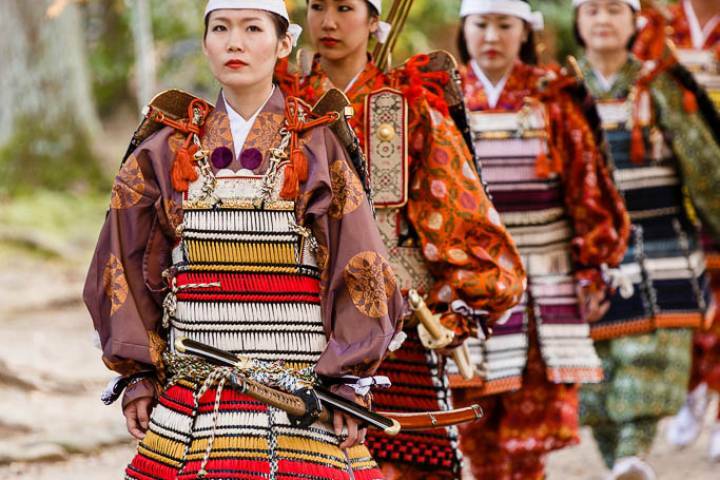 Sponsored by Usagi Juku, an armor manufacturer, the Yoroi Kizome-shiki is based on a time-honored tradition of becoming a man in a ritual in which you would don your first pair of armor – though these days both boys and girls are allowed to participate. 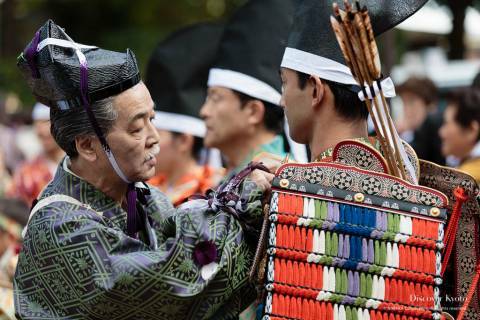 Using lacquer paper connected with cords, participants carefully create the detailed armor and helmets that they and their children or grandchildren will wear, and then join in a procession at Kamigamo Shrine in late November where prayers are conducted to wish for the young people’s health, growth, and good fortune. 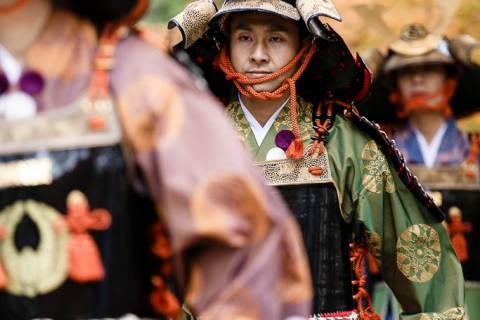 With their colorful armor set against brilliant autumn foliage, the festival members both young and old are transformed into splendid samurai, who can be seen making their way through Kamigamo Shrine’s grounds to a purification ritual in front of the main hall before heading inside for further blessings. 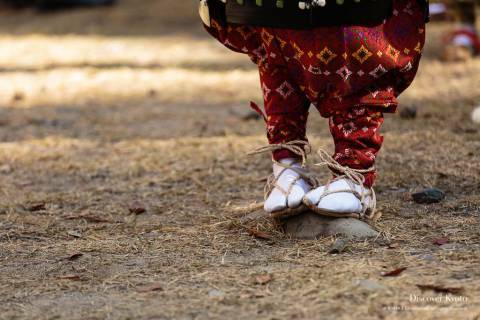 If you have time, you might want to try your hand at making a set of armor yourself, or simply enjoy watching the procession pass on by.